In his first year as the starter and just his 2nd year in the NFL, Chiefs QB Patrick Mahomes has been named the 2018 NFL MVP! Mahomes is the first Kansas City Chief to ever win the award. It was an easy decision for voters, as Mahomes became just the 2nd player in league history to throw for over 5,000 yards passing and throw at least 50 touchdowns in the same season. 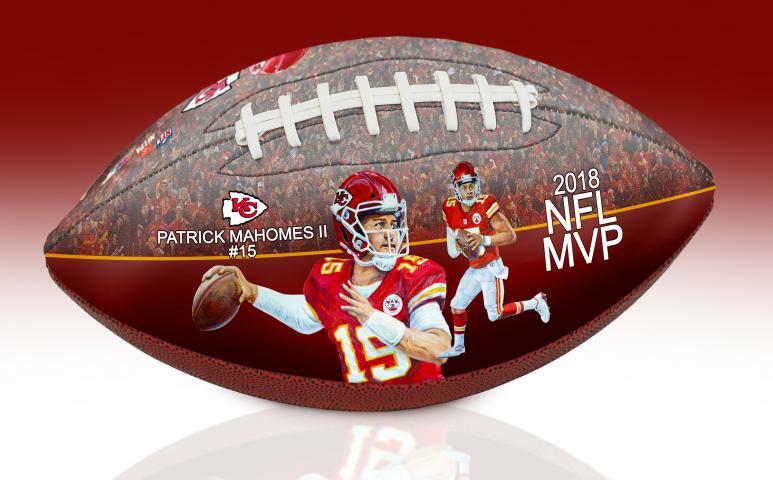 To celebrate this great honor, we are proud to release this full-size, officially licensed, Patrick Mahomes NFL MVP Art Football. 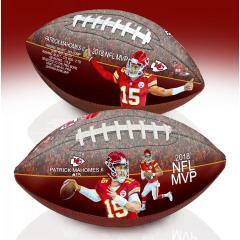 The ball features Mahomes’ stats from his historic season, acknowledgment of his award, the Chiefs’ logo, as well as original reproduced artwork by famed sports artist Jolene Jessie. 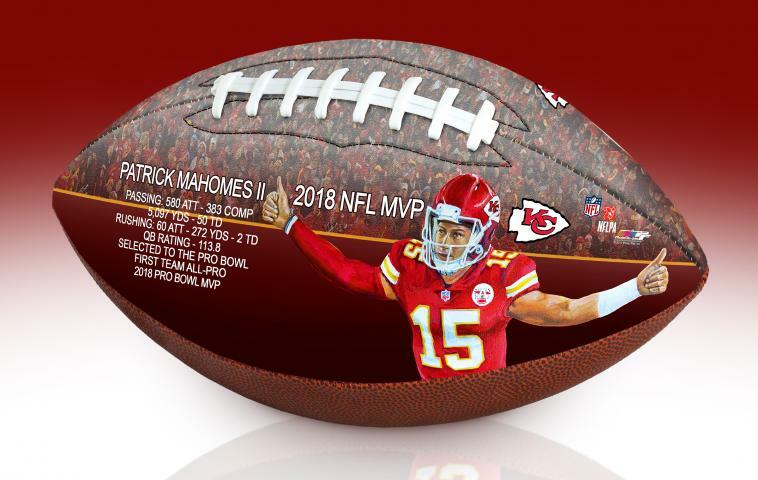 One panel of the football depicts Patrick Mahomes calling a play before the snap with his season stats. The opposite panel features two action images of Mahomes passing.